Welcome to Mercia Marine we're the boat insurance specialists you can trust. We provide a combination of quality boat insurance and great UK customer service at fantastically competitive rates, quite honestly our business aims really are as simple as that! Plus we can promise that when buying your boat insurance online it usually takes a matter of minutes and then you're covered. Alternatively, we're based in Worcestershire, UK therefore you can talk to us anytime in person via 01684 564 457 (standard office hours are 9-5). Below are the policy highlights of our boat insurance offer, these key policy attributes can happily be provided to all our customers as standard. Yacht insurance: Super Yachts, Marine Yachts, Heavenly Twins and Catamarans (motorised/ non-motorised). Small boat insurance: Dinghy Insurance, Canoes, Rowing Boats (2/4/8's) & Windsurfers. Inland boats: Canal boats, Dutch Barges, Houseboats, Pleasure Boats, Cruisers (contents cover also available). Motorboat insurance: Fast/Slow Cruisers, Sports/ Speedboat Insurance, Fishing Boats, RIB insurance & Day Boats. Boats undergoing work: Insurance for boats that are under build or in re-fitting. Quality Policies Underwritten by Quality Insurers, without exception! No Claims Discount of up to 30%. Free Water-Skiing Cover with all Rigid Inflatables and Speedboats. 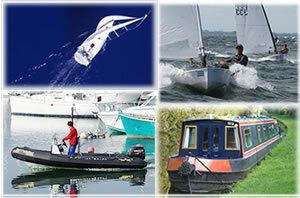 Free Racing Cover with all Dinghy Insurance. No Overseas Call Handling, Automated Calls or Junk Mail without exception! No Excess on Many First Claims (conditions apply, see policy details). £3 Million Third Party Indemnity included as standard (up to £5 million available). Rapid Quotes and Online Payment. Buy Cover and be Fully Insured in a matter of minutes! Mercia Opens New Southampton Site! Our new Mercia Marine Southampton site has been opened to offer professional, specialised brokering and underwriting services direct to the southern regions. Boatyards, Marina Operators, Boat Builders, Boat Outfitters. 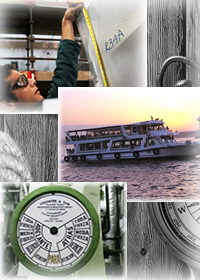 Marine Engineers, Boat Repairers, Marine Electricians / Electrical Contractors. Commercial Boat Insurance, Hire Boat Fleet Operators, Fishing Boats, Mooring Owners / Layers. Boat Chandlers, Boat Sales, Boat Agents & Boat Brokers. Boating Clubs, Sailing Schools, Sail Makers. To raise an enquiry please visit our Marine Insurance pages to provide us some basic information and we will follow-up with you as required. With over 1480 customer testimonials (and counting!) to vouch for the quality and value of our boat insurance policies and services we hope you agree this is an absolute testament to the quality of service and insurance products that we continue to provide. Our staff are dedicated and hard working, this is a fantastic recognition of that and we look forward to helping you. We challenge you not to pay more and accept less! Our policy is to simply to supply quality boat insurance & excellent UK customer service at fantastically competitive rates. Compare prices (small boats from £28.68, larger boats from £51.32) and buy online today (or call 01684 564 457)... you can be covered in a matter of just 5 minutes with one of the UK's leading marine boat insurance experts! "Very user friendly and makes life easy to renew"
"Very quick and efficient service both online and over the phone." "Ac first class service as always"
"Staff very helpful dealing with a specific query, polices now renewed"